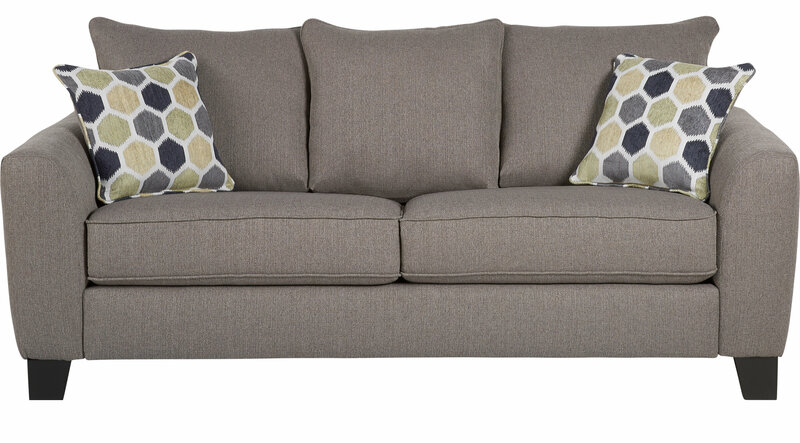 Stylish and contemporary, the Bonita Springs gray sofa is upholstered in soft chenille fabric. Loose back pillows and reversible cushions increase the longevity of the couch. Accent pillows are included.